REDWOOD CITY, CA – With 23.8 trillion air miles going unredeemed globally and 80% of US airline rewards program members inactive, an innovative solution combining airline loyalty with sophisticated payments features on a single multi-function card is set to significantly elevate airline frequent flyer programs. The integrated frequent flyer payment card solution, powered by i2c, gives travelers a convenient way to make payments and budget spending while concurrently earning loyalty points. 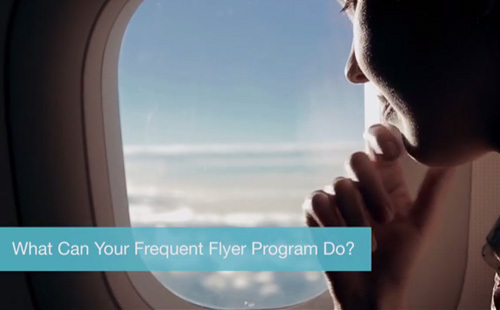 At the same time, it provides airlines with powerful tools to expand their loyalty programs to engage their entire customer base and turn a marketing expense into a revenue-generator. Unlike traditional co-branded airline credit cards available only to credit-worthy consumers who qualify, the integrated frequent flyer payment card is open to all airline customers, who simply need to load funds on the card and use it to make purchases anywhere in the world and accumulate loyalty points and air miles rewards. Multiple currencies and unlimited purses: Travelers have the freedom to carry unlimited currencies on a single co-branded rewards card, saving time and expense of foreign transaction fees. Security of card controls and real-time alerts: Consumers get added security and visibility over spending, conveniently managed through a Web or mobile interface. Integrated mobile and Web administration: Account and budget management features like setting a spending limits or transferring funds can be handled via the Web or mobile app. Valuable real-time offers: Airline customers can receive relevant digital coupons and offers based on their location. Companion cards: Additional account privileges can be easily extended to family members or companions via companion cards. Most airline loyalty cards lay dormant in a drawer or unused in a wallet, and less than 5% of airline customers are enrolled in co-branded credit card programs. The i2c-powered frequent flyer payment card offers airlines a novel way to reinvigorate their frequent flyer programs by engaging 100% of their customer base with innovative payments solutions, helping turn the marketing expense of maintaining loyalty programs into a revenue-generating vehicle. Increased frequent flyer payment card usage keeps the airline brand top of mind and boosts loyalty. As airline customers establish credit-worthiness, they become prime candidates for co-branded credit card and other products. From its Silicon Valley headquarters, i2c provides smarter payments and integrated commerce solutions that financial institutions, corporations, brands, and governments around the world rely on to deliver high impact, personalized experiences today’s consumers expect. i2c’s single, global cloud-based platform supports virtually any card payment program in plastic, virtual, or mobile form. Our customers use the i2c Agile Processing platform to deliver profitable credit, debit, and prepaid solutions that meet the highly-differentiated needs of cardholders in 216 countries and territories. For more information, visit www.i2cinc.com.